Located at the confluence of the Klang and Gombak Rivers, Pasar Seni Station marks the founding spot of Kuala Lumpur. This is celebrated through the use of a stylised “Y” in the station interior, symbolising the confluence. 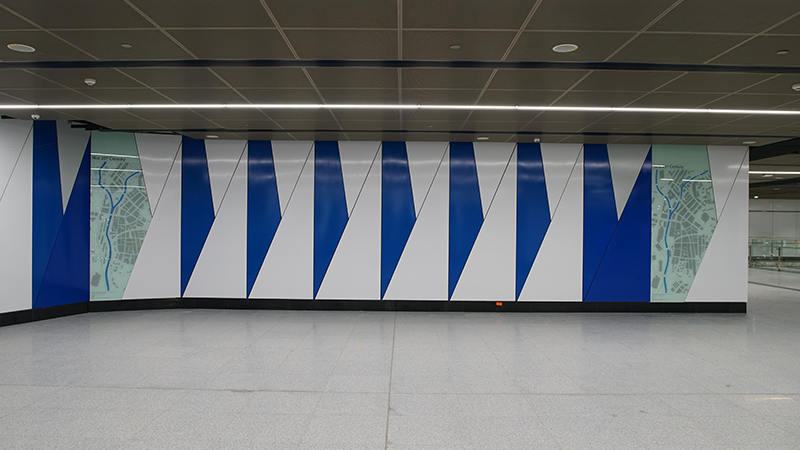 The design of this station is influenced by the city’s rich history and culture. The merging between LRT, MRT and intercity buses makes travelling within the city centre seamless and convenient.